There are many things that set Molokai apart from the rest of the islands of Hawaii. If your idea of a perfect vacation is one that does not involve a throng of noisy tourists or loud entertainment scenes, this island will satisfy your cravings for quiet relaxation. If Honolulu is Hawaii’s bustling capital and Maui is an exciting island of mixed cultures and posh restaurants, Molokai is a sleepy island inhabited by people who value age-old traditions and beliefs. In this "Friendly Isle," you will also find historical sites that speak of a not-so-distant past, with well preserved 13th century fish ponds and among the earliest vacation homes that had served the royals of the past. One of the things that make Molokai a truly distinctive Hawaiian island is its people. While the majority of the locals residing in Maui, Oahu, and Honolulu are of mixed ancestry, almost half of the population in Molokai is purely Hawaiian. This is due to the fact that Molokai remains a quiet, private island up to this day, where there are only about 7,000 to 8,000 residents. Furthermore, there are no large employment opportunities in Molokai, so foreigners are not known to settle here. Although a fourth of the populace on the island are Filipinos and a few of the residents are of Japanese and Chinese ancestry, most of the people are 100% Hawaiian. As the rest of Hawaii accommodates tall buildings and expansive resorts, Molokai has remained charming and quaint, with no buildings taller than the swaying palm trees. The people on the island get their source of income from hunting, fishing, and in growing their own crops. The tourism industry is doing well on the island, and this has produced employment opportunities for the locals. Compared to the more developed islands, such as Maui and Oahu, however, the working opportunities in Molokai are not as many. This is why many of the locals are still engaged in cattle raising, fishing, and hunting. The rural parts of Molokai are composed of acres of ranch land, unspoiled coastlines, and pristine beaches. The fishermen and farmers on the island remain dedicated to the preservation of the costal waters and lands. Molokai people are able to enjoy a pace of life that is unhurried and peaceful. The concept of island time is well maintained here, as the natural beauty of the place provides a sanctuary of pure tranquility. The people of Molokai are warm, friendly, and down-to-earth, imbibing the Aloha spirit in everything they do. Molokai is not nicknamed the "Friendly Isle" for nothing. The island may not attract huge visitor populations year after year, but the locals treat the visitors with genuine Hawaiian warmth and hospitality. As most of the locals are not exposed to the glitzy and glamorous lifestyle of the more commercially developed Hawaiian Islands, they are simpler and more fuss-free in their way of life. The crime rate on the island is low, making a vacation on this quaint island both comforting and pleasurable. The island of Molokai is made even more distinctive by its majestic topography of mountain cliffs, deep valleys, and historical wonders. Situated at 449 feet above sea level, Molokai is an island that enjoys temperate climate throughout the year. The days are warm and sunny, while the nights are cooler and more comfortable. The daytime heat is tempered by gentle breezes coming in from the coastal areas. One description that best fits Molokai is otherworldly. When you’re on the island, you feel as if time is suddenly suspended, or that you are being transported to the early days of Hawaii, perhaps some 50 or so years past. If you are tired of city living and noisy traffic in your hometown and want to experience a brief respite from it all, Molokai is the perfect escapist’s haven. You can easily get lost in the sight of the spectacular sea cliffs rising from the north coast of Molokai or the verdant valleys that span Pelekunu and Wailau. Any traveler will marvel at how everything in Molokai seems to have remained unspoiled, even with the passage of time. The island is also the perfect retreat for visitors who love seclusion and relaxation at the same time. The beaches in Molokai are secluded, tucked away in peaceful yet beautiful stretch of white sands and pebbles and private alcoves. There are black sand beaches as well, if you crave for more mystery and exotic flair. Most Hawaiian beaches nowadays are packed with people, tourists and foreigners who are drawn into the vibrant and exciting tropical island life. At Molokai, you will have none of the noise and confusion, but the best of world-class beaches and affordable accommodations. 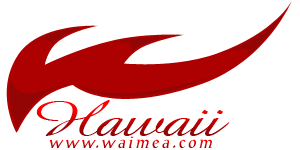 This place is also a camper’s paradise, as tent camping is allowed, especially on the Papohaku Beach Park and the One Alli Beach Park. Those who love exploring the outdoors will view Molokai as a paradise. There are water sports activities on the island, such as surfing, jet skiing, and kayaking, but the atmosphere is more subdued and the pace more relaxed. A hike or a mule ride to the Kalaupapa National Historic Site will show you the majestic scenery that the island has always been known for. After hearing the heroic tale of Father Damien and his devotion to the Kalaupapa lepers during the 1800s, you will understand even more why Molokai is beyond the usual. Much of Molokai’s regions have been well preserved, and this has earned the island its moniker, the Old Hawaii. Many attractions in the island are considered to be of immense historical importance. Since there are no skyscrapers, honking automobiles, and long traffic queues on the island, the old structures in Molokai have earned the notice and appreciation of learned travelers. Old pineapple plantation towns still exist, where you can find small shops and neighborhood art galleries. You can visit the Royal Kapuaiwa Coconut Grove, where you will find the coconut trees planted by the famed King Kamehameha V of Hawaii during the 1860s. Old Hawaiian fishponds made from lava, stones, and corals dating back to the 13th century are still in existence today at Molokai. Built using the aquaculture innovation of the Hawaiian locals, these fishponds had once been dedicated to the royals of the Hawaiian kingdom. Some of the best preserved fishponds in Hawaii today can be seen in Molokai. The ruins of the royal summer house of King Kamehameha V are also a major tourist attraction on the island, which have survived the ravages of time. If you want to get a clearer picture as to how Hawaii looked like 50 years ago, head to Molokai Island, and simply get carried away. The Paniolo or Hawaiian cowboy heritage remains alive in Molokai as well, which aims to generate public awareness into the significance of the ranching industry in Hawaii. Kamehameha III made a request to the vanqueros of California in 1838 to come to Hawaii and teach the locals some wild herding techniques. Today, the Paniolo heritage, which centers on the preservation of nature and artisan skills, is very much alive in Molokai. The Molokai Hawaiian Paniolo Heritage Rodeo is normally held in celebration of this well treasured event. The birthplace of the Hula dance is Ka’ana, situated at the peaks of Mount Maunaloa, on the western region of Molokai. The Hula dance is a traditional Hawaiian dance, which is performed during luaus and other celebrations. The Molokai Ka Hula Piko began in 1991, and has become an annual event commemorating the traditions and culture of Molokai, the site of the very first Hula dance. The festival is one of the most unique cultural celebrations all over Hawaii, which you can witness first-hand only at Molokai. Lectures are provided, making the festival an educational event as well. Different themes are chosen each year, so visitors to the island will always have something to look forward to during their yearly visits. Molokai may not be the perfect paradise escape for everyone, but it is definitely ideal for people who want beyond the usual vacation. You will be able to enjoy the best of Hawaii without distractions, without noise, without interruption. You can enjoy a quite mule ride to the Kalaupapa National Historic site one afternoon or spend the evening sampling Hawaiian cuisine at a cozy restaurant. The beaches are less crowded and more secluded, making the island an ideal romantic getaway. Molokai is an embodiment of the untamed, unspoiled, and captivating Hawaii, where time seems to grind to a halt. People have remained simple and unassuming. From old fishponds and national historic sites to private beaches, breathtaking sea cliffs, and volcanic rock formations, Molokai is unique in every way. Add to that the genuine Aloha spirit of the people and the well celebrated traditions of that old, and what you get is a vacation destination in Hawaii that’s simply unlike any other.